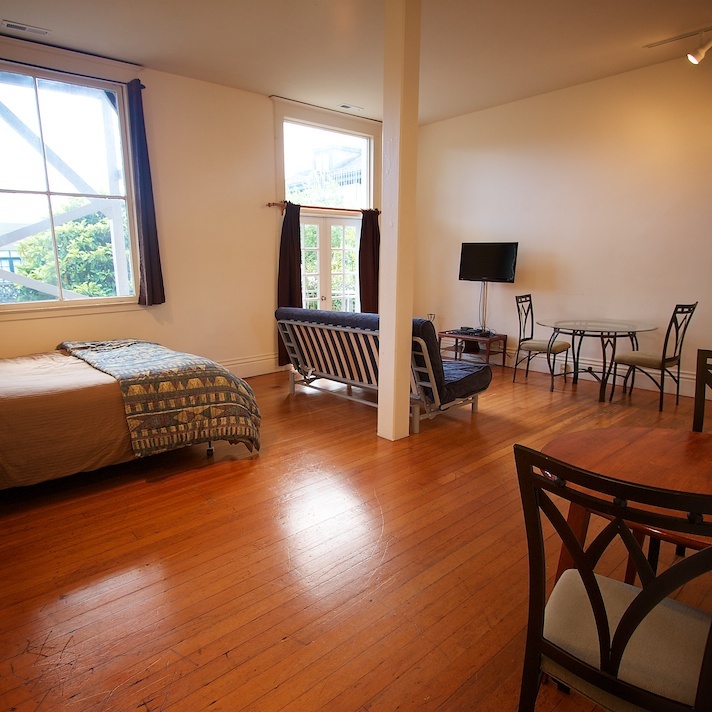 Our Presidio Terrace Studio is a spacious and sunny studio located in one of San Francisco's most prestigious and serene neighborhoods. The property is located one block from the Presidio National Park and is within walking distance of the upscale Laurel Village commercial district. In the other direction is one of the City's thriving Chinese communities with unique shopping and dining opportunities. Presidio Terrace offers the guest plenty of room to spread out. The room is large with a bank of windows facing the garden. 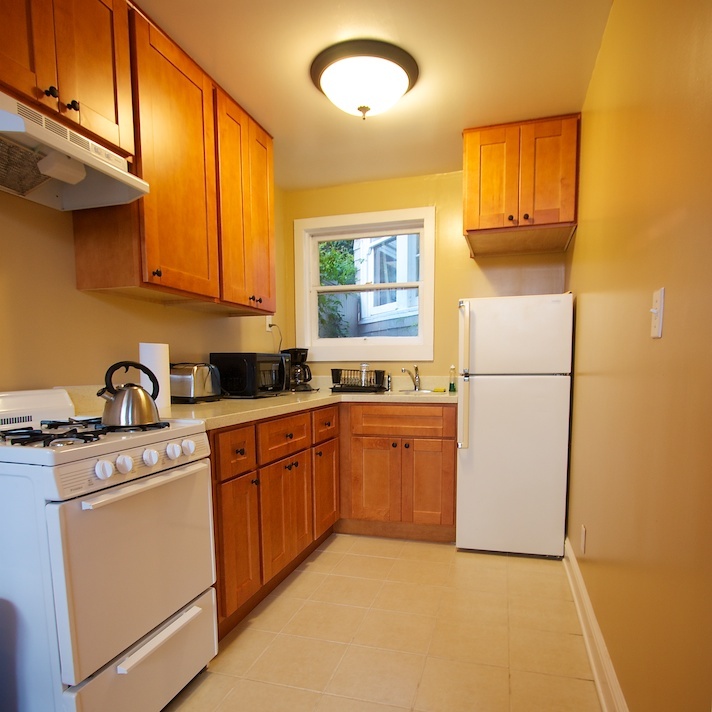 There is a newly remodeled kitchen and a small dining area. 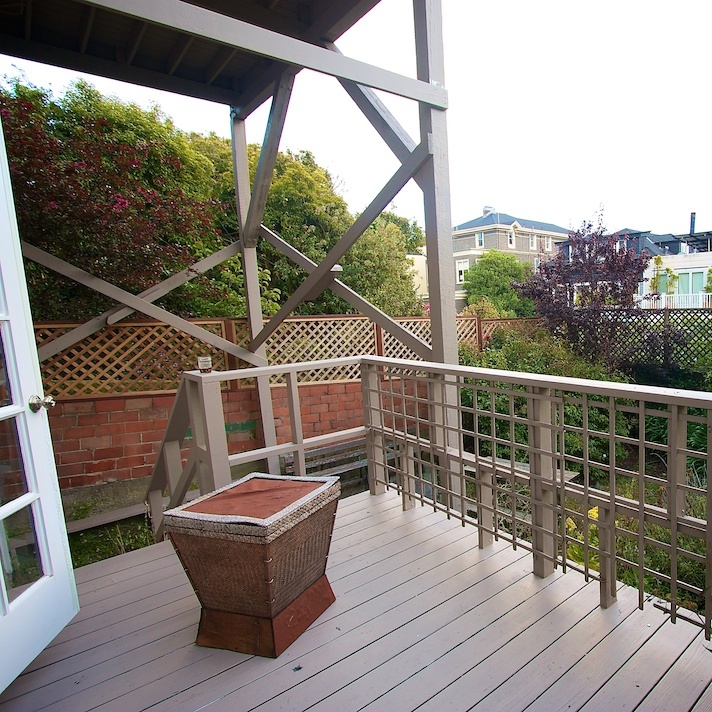 There is a very nice private deck overlooking the garden. 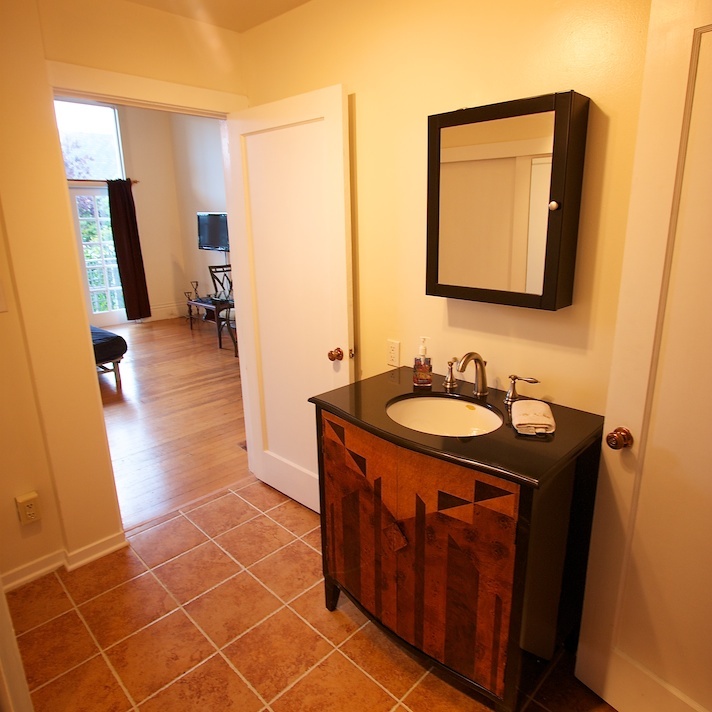 The bathroom is large with a changing room and separate room for the toilet and shower. The bedroom has a King sized bed and there is a full sized futon as well. 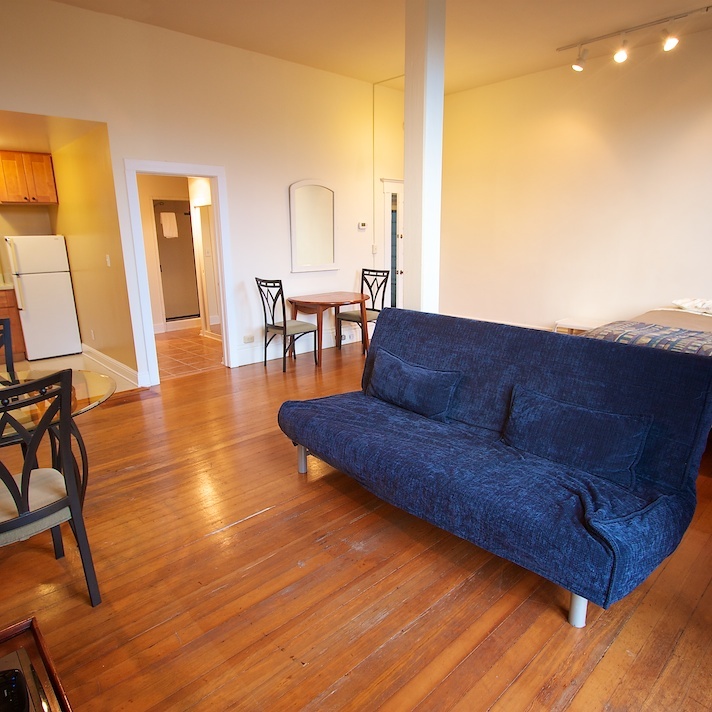 Presidio Terrace Studio offers a unique opportunity of staying in a truly historic district with ample space and comfort. It is ideal for a couple or small family. If available this unit can be combined with either of the upper units.